Renzo Piano, OMRI, OMCA (Italian: [ˈrɛntso ˈpjaːno]; born 14 September 1937) is an Italian architect and engineer, who won the Pritzker Architecture Prize in 1998. In 2006, Piano was selected by TIME as one of the 100 most influential people in the world. He was selected as the 10th most influential person in the "Arts and Entertainment" category of the 2006 Time 100. In August 2013 he was appointed Senator for Life in the Italian Senate by President Giorgio Napolitano. Architecture critic Nicolai Ouroussoff said of Piano's works that the "...serenity of his best buildings can almost make you believe that we live in a civilized world." Piano was born in Genoa, Italy  into a family of builders. He was educated and subsequently taught at the Politecnico di Milano. He graduated from the University in 1964 with a dissertation about modular coordination (coordinazione modulare) supervised by Giuseppe Ciribini and began working with experimental lightweight structures and basic shelters. At first, Piano became known for his collaborations with other architects. From 1965 to 1970 he worked at the firm of iconic architect Louis Kahn in Philadelphia and with Z.S. Makowsky in London. He established an architectural firm with Richard Rogers named Piano & Rogers, where they worked together from 1971 to 1977. Their most famous joint project, together with the Italian architect Gianfranco Franchini, is the Centre Georges Pompidou in Paris (1971). The New York Times has declared that this design "turned the architecture world upside down". He also had a long collaboration with the engineer Peter Rice, with whom he shared a practice (L'Atelier Piano and Rice) between 1977 and 1981. 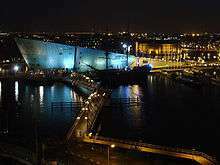 Piano has become known for his museum commissions, including the Morgan Library in New York City and the NEMO science museum in Amsterdam. His recent expansion of the Art Institute of Chicago includes a 264,000-square-foot (24,500 m2) wing with 60,000 square feet (5,600 m2) of gallery space called the Modern Wing, which opened on 16 May 2009. It includes a "flying carpet", a sunscreen that hovers above the roof and a 620-foot (190 m) steel bridge connecting Millennium Park to a sculpture terrace that leads into a restaurant on the wing’s third floor. 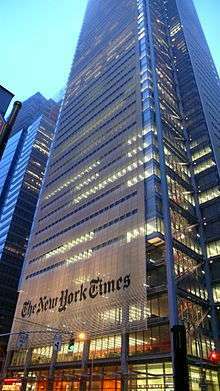 The New York Times stated that "the structure immediately brings to mind the work of Ludwig Mies van der Rohe." Piano's design for the new building of the California Academy of Sciences in San Francisco (completed in 2008) also received a significant amount of acclaim, including from the New York Times, which declared it a "comforting reminder of the civilizing function of great art in a barbaric age". Recently, a number of Piano's most notable projects have been completed. These include skyscrapers such as The New York Times Building in Midtown, Manhattan and The Shard in London, the tallest skyscraper in the European Union which was opened on July 6, 2012. Some of his designs have been controversial however, including the almost-completed Valletta City Gate in Malta which may result in the City's loss of its UNESCO title. In 1999, Piano designed a watch entitled "Jelly Piano (GZ159)" for the Swatch Summer Collection. The watch design is clear and the exposed inner workings were influenced by his Centre Georges Pompidou design. In 1998, Piano won the Pritzker Prize, often considered the Nobel Prize of architecture. The jury citation compared Piano to Michelangelo and da Vinci and credited him with "redefining modern and postmodern architecture." On 18 March 2008, he became an honorary citizen of Sarajevo, Bosnia and Herzegovina. On 30 August 2013 he was appointed senator for life because of his "outstanding cultural achievements" by the President of the Italian Republic. In 1989, Piano was the recipient of the Royal Gold Medal. In 1990, Piano was the recipient of the Kyoto Prize. In 1998, Piano was the recipient of the Pritzker Architecture Prize. In 2002, Piano was the recipient of the International Union of Architects#UIA Gold Medal. In 2008, Piano was the recipient of the AIA Gold Medal. In 2008, Piano was the recipient of the Sonning Prize. ↑ "Whitney Stories Video: Renzo Piano". Whitney Museum of American Art. February 14, 2014. Retrieved April 23, 2016. ↑ "Renzo Piano in conversation with Colin B. Bailey". The Morgan Library & Museum. April 18, 2016. Retrieved April 23, 2016. 1 2 Ouroussof, Nicolai (May 13, 2009). "Renzo Piano Embraces Chicago". The New York Times. Retrieved 2009-05-13. ↑ Bosia, Daniela (2013). L'opera di Giuseppe Ciribini. Milan: Franco Angeli. p. 15. Retrieved 2014-02-21. ↑ "Renzo Piano Building Workshop website". Rpbw.com. Retrieved 2012-10-17. ↑ Chevalier, Michel (2012). Luxury Brand Management. Singapore: John Wiley & Sons. ISBN 978-1-118-17176-9. ↑ Smith, Roberta (May 13, 2009). "A Grand and Intimate Modern Art Trove". The New York Times. Retrieved 2009-05-13. ↑ Ouroussof, Nicolai (May 13, 2009). "Renzo Piano Embraces Chicago (slide show)". The New York Times. Retrieved 2009-05-13. ↑ Ouroussof, Nicolai (September 23, 2008). "A Building That Blooms and Grows, Balancing Nature and Civilization". The New York Times. Retrieved 2014-05-15. ↑ "Fundación Botín". Fundacionbotin.org. 2012-09-30. Retrieved 2012-10-17. ↑ "Botín Center / Renzo Piano". ArchDaily. 12 Jun 2012. ↑ Unesco to probe City Gate project. timesofmalta.com (2013-07-22). Retrieved on 2013-08-16. ↑ "Official Swatch Website - Swatch International". Swatch.com. Retrieved 2012-10-17. ↑ "Renzo Piano počasni građanin Sarajeva - Klix.ba". Sarajevo-x.com. 2008-03-18. Retrieved 2012-10-17. 1 2 "Le onorificenze della Repubblica italiana". Quirinale.it. Retrieved 2012-10-17. 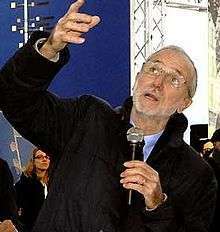 Wikimedia Commons has media related to Renzo Piano.